Sodium thiosulfate, one of the critical medicines in the treatment of cyanide poisoning, is getting increasing respect as a powerful natural detoxing agent. It is also used in the restoration of rivers and streams that have been polluted with heavy metals, and it is in that respect that people are beginning to apply it to natural health care. Sodium Thiosulfate is used internally to remove chlorine, cyanide and heavy metals. It is available in a liquid solution or in a dry form. How Much Liquid Sodium Thiosulfate Should I Take? If you are using 10% sodium thiosulfate, add 6-10 drops to a liter of water. If you are trying to remove heavy metals from the body, use this amount a couple of times a week. If you have a 30% solution of sodium thiosulfate, use only 2-3 drops in a liter of water. How Much Dry Sodium Thiosulfate Should I Take? If you have the dry form of sodium thiosulfate, add 1 flake (about the size of a grain of rice) to a tall glass of water, or 2-3 flakes to a liter of water. Sodium Thiosulfate can cause diarrhea as it removes toxins. If you are bothered by this side effect, reduce the amount of sodium thiosulfate you take. Taking vitamin C when you are taking sodium thiosulfate will help your body’s ability to handle the detoxification. Sodium thiosulfate may also remove other minerals from your body. If you use sodium thiosulfate on a regular basis you may need a mineral supplement. How Much Sodium Thiosulfate Should I Use Topically? Sodium Thiosulfate is used topically for fungal conditions like tinea versicolor and ringworm. According to WHO,1 a 25% solution of sodium thiosulfate is used 2-4 times a day for four weeks to treat tinea versicolor, a condition similar to ringworm and athlete’s foot. Sodium thiosulfate is also used topically to reduce calcium deposits. A 10% solution is applied to the calcification a couple of times a day. Sodium thiosulfate is said to be a powerful detoxing agent to remove mercury and other heavy metals from the body. It is also a topical anti-fungal such as can be used for ringworm. Side effects from the use of sodium thiosulfate can include agitation and changes in both thoughts and vision. Nausea and tinnitus also possible. Continue reading below to learn much more from Earth Clinic readers about how they used Sodium Thiosulfate to treat various ailments. Let us know what you used Sodium Thiosulfate for! Hope every thing is normal with you now after that bad experience of rain you had. There is a lady of 93 yrs of age mother of my friend living in other city, suffering from, seems arthritis due to which she used to have severe pain and could not bend the hand fingers. I helped by giving the mix of Mag.Oil and DMSO. It has helped her a lot and she is very happy. But now she has informed me that there is no pain but she is not able to hold the spoon to eat her meals (though at the beginning she said she can hold the spoon). What I feel is that she wants some more relief. I feel that there is quite a bit of calcification in the joints of the fingers and that is why it is difficult for her to hold the spoon with the fingers. In the above article, the author states that Sodium thiosulphate can eliminate the calcification, therefore my request to you is to give me your opinion as to how can I use Sodium thiosulphate to help her. Shall I mix this with the liquid I am already sending her if yes how much should I mix. My solution is 50% Mag.Oil( it is good concentration) + 50%, 80% DMSO , this has been working very well with many people. Other options are I can make separate solution of Sodium thiosulphate and DMSO which she can apply at different times and in that how much Sodium Thiosulphate. Why I am asking this is because I had read some where that you take two drops of 10% of sodium thiosulphate. Hi Baldev…Good to hear from you again, I hope that you are well. 10% Sodium Thiosulfate can be applied directly to the hands to help remove the excess bone calcium because it is absorbed directly by the skin into the blood. You can apply this easily once or twice a day. It will take a while but it works well to get rid of the excess calcium. Use and apply the 10 % sodium thiosulfate directly on its own to the hands and affected areas. And you could, as you say, also add the sodium thiosulfate to the DMSO + Mag mix as well. Add about 3% sodium thiosulfate to your mix should be sufiicient or just add 6 to 10 drops of sodium thiosulfate to the DMSO + Mag mix(per tablespoon) for the hands when you apply it. Although the DMSO + Mag Oil are highly useful, you could also add borax to this mix (with no sodium thiosulfate). As it stands, your current treatment will certainly help arthritic problems in general but you can make this applied dermal treatment even stronger by adding some borax to it. As Ted from Bangkok has mentioned so often, calcium build up and arthritic problems are directly related to infections from mycoplasma and mycobacterium. The mycoplasma eats and destroys cartilage and the mycobacteria live in self-built calcium shells. So right there you have the root cause of both bone calcium build-up and wasting cartilage. Both mycobacteria and mycoplasma are bacteria that have distinct fungal behaviour. And borax is the ultimate fungal killer. Putting these two cogent facts to good use means that if you also add borax to your DMSO + Mag Oil mix then this means that you will eliminate the actual root cause of these arthritic and bone build-up problems. I would also recommend that anyone with mycoplasma, mycobacteria, fungal or mold problems should also be supplementing Ted's Borax Water remedy every day. The borax remedy for women is 1/8 tspn(1/4 tspn for men) borax + 1 liter of water. You can also add a capful of 3% hydrogen peroxide to this borax water to make it even more powerful( hydrogen peroxide also kills mycoplasma and mycobacteria). Drink the 1 liter of borax water slowly throughout the day and take two days off this remedy at the weekends. Drink 1 liter(or as much as you can) of borax water per day and take two days off this remedy at the weekends. The best way to use the Mag oil + DMSO + Borax and the DMSO + Mag Oil + sodium thiosulfate remedies would be to use them on alternate days for best and quickest effect. The Mag oil + DMSO + Borax addresses and remedies the core reason for the problem and the DMSO + Mag Oil + Sodium Thiosulfate will help to reduce the calcium build up quickly. Other remedies that also work well are the following, which are also applied to the skin on a daily basis — these are also from Ted — are DMSO + Aloe vera oil + lugols iodine. Castor oil works well too when you rub it on the hands. Turpentine(or pine essential oil), lavender oil and orange oil are also effective as dermal rubs for arthritic problems. Use 3 – 4 drops of these oils in a tablespoon of coconut oil and apply like that. These oils will be absorbed and will act to kill the infection from the inside thereby also helping to get rid of the root problem. It might also be advisable for people with these arthritic problems to supplement Chanca piedra(called bhoomy amalaki or amla in Ayurvedic medicine) in tea or capsule form on a daily basis. CP is very efficient and safe for removing excess calcium from the blood. Some more detailed information for you here. Also please bear in mind that you should not mix sodium thiosulfate or borax or iodine together because they will react and become useless. Ok, after being told I have calcification on some thyroid nodules I found an article by Dr. Sircus about magnesium and sodium thiosulfate. I have scoured the Internet and found one product in granules on Amazon. I have also scoured this website and there is no clear instruction on how to use this product! How many teaspoons of this stuff do I take? what do I mix it with to consume it? If I decide to use it as a salve how do I use the granules? I refuse for my thyroid to be removed and do not like conventional doctors. My hair analysis shows my calcium is high and magnesium is a little lower hence the calcium is in my soft tissue not my bones and therefore in my nodule. Sodium and potassium show low. I am in deep detox after removing silicone breast implants and getting suddenly I'll from them this past July. My body obviously stored metals while these immune disrupters were in and now that they are out WOW my body is detoxing and it's hitting me hard and hitting my heart, thyroid, joints even my gums in my mouth. I'm doing all the things I need to keep pathways open. My question is how do I know how much of this stuff to take if it's in powder form and if I find it in liquid how much to take? My goal is to break down thyroid calcification due to hashimotos. No I do not take iodine however I'm embarking on trying this. G: I have been detoxing a large amount of inorganic Manganese and other metals for some time. I have taken the S.T. oral but not enough for the job so started 1/4 cup in hot bath for 1 hr. I am now down to a pinch (proly 10-15 grains) in hot bath for first 20min then add Magnesium Sulfate aka Epsom Salts (among other minerals including Borax) for the remainder of the bath and am making progress. Don’t forget to take Vit-D & K to get those minerals in the bones. Chanca Piedra is very good for removing excess Calcium. Do you use much dairy foods? If yes, you need a radiation detox for the bones. Take the herb Sarsaparilla and the mineral Strontium Citrate for this. Turmeric and Pineapple will reduce the inflammatory condition. A Parasite Cleanse may be needed for the intestines, actually looks very needed in your case; you seem to have absorption issues. Glutamine, DGL, and Allantoin will heel the guts if all the infection is first removed. Thank you so much for your response. I do not drink a lot of milk, have calmed down on the cheese and greek yogurt but eat a lot of greens which can also be calcium building. My gut issues are good but up and down as I go though different stages of detox. Since removing breast implants in july of this year my body is releasing stored metals and toxins. Even my thyroid is starting to work on its own making it unnecessary for me to take thyroid meds. Thanks again for your response. I am 49 yr, I was faced a stroke with seizure first time in july 17. Also very low blood sodium level at that time admitted in hospital. During Hospitalization I was detected calcified plaques in neck blood arteries & many tiny plaques in aorta.checkup .During Hospitalization I was detected calcified plaques in neck blood arteries & many tiny calcified plaques in aorta. Now I am under control treatment of doctor. Daily taking tablets. My doctor told me we can suggest u only regular medicine. During Hospitalization I was detected calcified plaques in neck blood arteries & many tiny plaques in aorta. Now I think no doctor won't suggest root cause medicine. Now kindly guide me to get rid from this problem. Also what was the reason for such serious problem I faced & how how can I prevent further lesson. Please Help me. V: The root problem is likely chronic infection which is often an oral issue. Use otc Antiseptic Mouth Wash or Swish Colloidal Silver in the mouth, H2O2 can be used also. For clearing the arteries, there is a recipe here on E.C. of herbs that clean and allow the plaques to absolve. Take in capsules or as a tea —Garlic, Cayenne, Ginger, Hawthorn, Lemon, ACV. The herb Chanca Piedra is effective in removing excess Calcium from the body. Hi, my horse has a small calcification on her hind joint P2..will this work if I mix it with mag and then use the dmso as well..how often and how long before it goes? I could only buy the fish one but has a couple other compounds in it…hope that is ok. I keep a 100ml bottle of water mixed with Sodium ThioSulfate crystals & wet my body with it after showering. I air dry, allowing the STS to be absorbed transdermally. Purpose: to increase sulphur intake. See clinical photos of a “dramatic diminution of a large calcification treated with topical sodium thiosulfate. Can this aid if you have type 2 diabetes? What was the concentration of crystals to water? My daughter has had 3 surgeries snd 2 infections (hospitalized for 4-6 days), as a result of calcium deposits. Any hope or onformatipn is greatly appreciated! Thank you!!! I use one tea spoon of Sodium Thiosulfate and one tea spoon of Ascorbic Acid in glass of 4 oz. water every night for a 6 days. Is it dangerous for my health? I have used this formula every night for two weeks and have noticed a considerable improvement in health. It was clear from the odor that metals were being removed from my system. I have Sodium Thiosulfate crystals 99.5% pure. I want to know how to convert it to safer ingestible percentages. What formulas can I use? I have heard STS can be taken intravenously, could you use the same solution or would other steps be involved to purify it for injection? I first tried just a few pellets orally for heavy metal detox w/ decent results but soon progressed to a few spoons in a very warm footbath, then progressed again to 1/4-1/2 cup in a hot whole body bath and finally getting the metals out of my bones w/ all parameters of health improving. Hi Angelo…You can supplement one crystal of sodium thiosulfate — about the size of a grain of rice — mixed in a glass of water and drink that. This is what Ted from Bangkok recommends. You can also measure out and make a 10% water solution of sodium thiosulfate and just take 6 to 10 drops of that solution in a glass of water on a daily basis. I use the 10% sodium thiosulfate solution which I bought from an aquatics or aquaculture shop. This has served me well for many years. I’ve always found sodium thiosulfate easy to take with no problems. But Ted warns that, the first time you take the sodium thiosulfate, you may well get diarrhea and after that no more diarrhea. Sodium thiosulfate not only removes heavy metals but also removes cyanide, arsenic and chlorine so it is highly useful for the body. I’ve also found that taking ST also helps me to sleep as well, very relaxing. That’s why I usually take it at night before bed. I’ve never taken ST by injection, never had the need, so I can’t help you there. How do I take this for sleep and how much? Thanks. Hi Jovana…You can buy 99.5% pure sodium thiosulfate from ebay. Almost all tap water we drink is chlorinated. The issue is that while some municipalities use Chlorine, many use Chloramine instead, mainly because it's cheaper and in certain conditions more effective. The problem is that Sodium Thiosulfate combines/reacts with Chloramine and that releases Ammonia, which we all know is very dangerous! This must be addressed. Benefiting from Sodium Thiosulfate's benefits while enhancing Ammonia levels is a real danger. Thanks for the warning. On that basis it would be prudent to ensure we drink only filered water that has been tested to include the removal of that specific contaminant avoiding the risk of ammonia been produced Therefore allowing us to reap the health benefits of ST without the possible side effects. Distilled water must be used. Best investment ever. I have been using my distiller for years now. After distillation, distiller stinks of chlorine. Once a week, sometimes twice, the distiller has a thick white powder, probably fluoride. Have Hashimotos so can't take any risks. Brought TSH level from 31 to normal by avoiding all grains and gluten. Now.. maybe Ted can answer this, if 2 drops will dechlorinate at 4ppm for 1 gallon of water, then 1 ml contains 650 mg of sodium thiosulfate or a concentratrion of 65%. Is that correct, 65 % concentration to get 2 drops to dechlorinate 1 gallon??? Or is there other agents added to the product which synergestically work to dechlorinate, with a lower concentration of sodium thiosulfate? Thiosulfate report: Be careful when using thiosulfate as a toxin remover, chelator: The thiosulfate may also remove too much critical nutrients, like copper, calcium, iron, magnesium; if used without a plan. I used a fish aquarium water cleaner that I bot in a pet shop; with a odd brand name. The specifed use of it was to clean the tap water of chlorine, it contained sodium thiosulfate plus EDTA as a liquid solution. I found the ingredient list on the distributors website msds sheet. They were not listed on the bottle label. 30% sodium thio-sulfate and 10% EDTA. My purpose was to try and chelate insecticides, pesticides, arsenic, and heavy metals from my tissues. By the end of week 3 I was having muscle spasms in lower legs, in mornings, while in bed. The 2nd person also experienced some muscle spasms. This indicates a deficiency symptom of calcium, or magnesium, or maybe iron…… This occurred until we stopped the mineral chelator. By week 3 I began to experience chronic lower back soreness and pains, while doing no physical labor. The lower back area seemed to be loosing calcium at the vertebraes and the lower back seemed to be degenerating, for no aparent reason. As if I was experiencing a calcium deficiency in the vertebrae bones….. Until I stopped the mineral chelator. By the end of week 3, the 2nd person was showing signs of a copper deficiency, despite supplementing with copper. This showed up as sub-dermal heamatomas, or capillary fragility, and bleeding under the skin after a mild bump or a scrape. She had previously been cured of this sub-dermal heamatoma symptom by supplementing with 2 mg of copper, per day. She was still supplementing with copper, but the capillary fragility was coming back… Until she stopped the mineral chelator. After 4 weeks we stopped the experiment, and within 2 days our symptoms began to reverse themselves. It is now day 3, and we are better still. The symptoms are now 75% improved, after only 3 days. Leg cramps gone, sub-dermal heamatomas gone. Lower back soreness is 60% better. This experiment proves to me that the sodium thio-sulfate [plus the EDTA in the formula] is a powerful chelator of metals, and therefore is potentially capable of chelating heavy metal, etc. but You must restrict it’s use to short periods of time; maybe 1 week per month for general chelating. And supplement heavily of nutritional minerals while on it. In the future, I would only intake it One time per day, at bedtime, away from food. In a cycle of One week on, 3 weeks off. It would be good to keep in the house for emergency use for accidental poisonings, or suspected poisonings. Perhaps taking it for 3 days after the suspected poisoning occurred, as insurance. I hope this information helps someone else. Hi, I'm just ordering STS to give it a try myself. One thing that's a must is that you have to replenish your body daily with minerals and probiotics because STS leaves no prisoners. You can take it up to 4 weeks at a time. Check out Tony Pantalleresco's youtube on sodium thiosulfate and turpentine, (and all of his other topics are so very informative). I tried the turpentine. Awesome! I was able the get off my blood pressure meds! It is vital that you take a minimum of 10 Billion probiotics and a full coverage of minerals each morning to replenish the body of what was stripped out by the thiosulfate. Tony Pantalleresco says that the Thiosulphate strips everything out of the body including the needed good fauna (good bacteria) and minerals. He also says with the 1 teaspoon of Sodium Thiosulfate you need to take 1 teaspoon of powered ascorbic acid to protect the liver from the metals etc that are being evacuated from the body. Bill from san fernando, can you check to see if this the right sodium thiosulfate also? Hi Susan… The Sodium Thiosulfate in your link seems to be OK. For the right doasage, just add one flake — about the size of a grain of rice — to a glass of water and drink it. This will help to remove chlorine and heavy metals from your body. Hi Susan, I just thought I’d give a link to where I got my lab grade sodium thiosulfate. I remember being a little apprehensive about where to get it so, I thought this might help others interested in using it. There’s enough in here to last a lifetime! 😉 It’s very inexpensive and I’ve been using it since last Nov. Also, it’s the crystal form (or rice pellet size). Thank you so much! I've been trying to find this for 3 weeks and was about to give up. Hi everyone. I just got a bottle of lab grade sodium thiosulfate from a science company in the mail. I am looking forward to using the sodium thiosulfate to detox from heavy metals. Inside my bottle are pellets the size of rice grains. Can someone provide the recipe? For example, do I dissolve 1 pellet in a liter of water and sip that throughout the day or should I treat the pellet like a supplement and swallow it with a lot of water? Thank you so much for your advice. Hi Lisa, Thank you so much for clarifying. Last night I added 1 pellet of ST to a very large glass of spring water and drank about 1/8th of it over the course of 2 hours. That was enough for my first round of detoxing! It made my perspiration smell very interesting, let me tell you (as in UGGGGH! ) I also got a slight headache. Today it feels as though I am detoxing in the brain – have some strange sensations going on in my head. I am going to wait a couple of days, drink plenty of water and take high doses of vitamin c and then do another round. Thank you again! I just purchased ThioSulfate, I’m gonna use it to help rid ammonia out of the brain. I’ll be taking Glutamine as well. Sodium Thiosulsphate is not a "natural" substance. Furthermore, sodium thiosulfate chelates heavy metals as well as CALCIUM, especially if there is a low availability of heavy metals to bind with, and I would NOT recommend prolonged use without consulting a physician. Furthermore, on AMMONIA: I personally use this as an aquarium dechlorinator, and when it binds to chlorine and breaks chloramine (NH2Cl, the stuff used in water treatment) bonds in tap water, it will cause a spike in ammonia concentration because it DOES NOT bind ammonia. Don't take my word for it, buy an ammonia test kit from your local pet store, pour some Sodium thiosulphate in some tap water, and test it for yourself. The FDA very loosely regulates supplements, so be weary of what you put in your body, because they can make almost any claim on a supplement bottle without legal recourse, even if it is a detriment to your health. 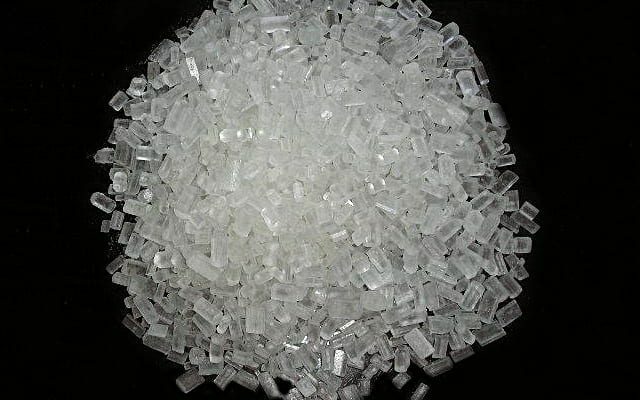 Sodium Thiosulfate is not an otc dietary supplement, it is a non-hazardous industry or chemical grade mineral much like Epsom Salts (Magnesium Sulfate) and Borax (a salt form of Boron aka Sodium Tetra Borate). The safe dietary supplement, amino acids Aspartic Acid and Ornithine are also recommended to detox ammonia from the body. You don't need to call your dr if you want to add these supplements to your diet, and if you ask dr about detoxing ammonia from your body, you will likely get an unusual reply and please post it here for educational purposes. I am mercury toxic as shown via blood and urine tests. Are all forms of SD safe to take? and does anyone know what dose might be a safe starter for mercury removal? Hello! Sodium thiosulfate aka hypo aka rice is sold pure in photo shop. I am using it whithout any ill effect. Good luck! Hi Dj. . . You should be able to buy Sodium Thiosulphate at any aquatics shop in UK. This form should be pure enough because this form of Sodium Thiosulphate has to be pure, because it is used to eliminate heavy metals and chlorine from the water of live fish tanks. I’ve used this form of ST for about the last 3 years with no ill effects. You can also eliminate heavy metals by supplementing with Lugol’s Iodine or an Aqueous Solution of Iodine(British version). Iodine also usefully eliminates toxic bromine and flourine from your body as well. You can also eliminate heavy metals simply by drinking green tea 3 times a day or eating half a cupful of Cilantro(coriander leaf) in salads three times a week. Using this diet method will get rid of your heavy metal problem in about a month. You could give Iodine a try! About as cheap, maybe more so. But only if it’s LUGOLS. You’ll have to find out if you can get the original 5% so-called LUGOLs where you live, or only a 2. 2% diluted version. Thank you everyone for your input. I will source the items and start a programme and keep progress, updating when needed. I got a 99. 9% pure ST and it has arrived in crystal form. So Ted’s 10% solution and 10 drops a few times a month means this version I have must be diluted. To create a 10% solution I’ll need to do some quite specific weights and measures calculations with solid and liquid conversions unless anyone has used the solid form or has some simple teaspoon/tablespoon quantities to suggest? Hello! I just prepared it again today for I used my first batch already. 10 gr sodium thiosulfate 90 gr of distilled water = 10% solution. If you have a scale it is easy. Put your container on the scale, pour 10 gr of sodium thiosulfate(rice)and add carefully 90 gr of water. If you have to work with a measuring cup it is a little more difficult; density is 1. 667 g/cm3 but the solubility is 20.9g/100ml so if I understand well: if you make a saturated solution it is automatically a 20% so by adding the same amount of water in the saturated solution you get a 10%. Good luck! you can order medicine on ukraine. I found one dechlorinator at Petsmart that listed the ingredients. They are sodium thiosulphate, EDTA and polyvinylpyrrolidone. Is the PVP a problem to consume? I read online that it is in all kinds of things, including tylenol, personal care products. Hi this is for DC in the UK, Dont know if you will get this as the thread was back in 2010. Bill, below is data from Ted. …The drinking water will therefore constantly reduce the toxins but there is another kind of toxins that H2O2 might not be able to neutralized and it can be switched over once a month or twice a month, only one or two day with the sodium thiosulfate drops. Which is 10% sodium thiosulfate, 10 drops per liter of water. It tends to neutralize other types of toxins. Initial taking of this may have a laxative effect, more like detoxification, thereafter no more problems. Hi Joe…I also obtain my bottles of sodium thiosulfate from an aquatics shop and although they don’t say so on the labels, they are usually always 10% strength. And I wouldn’t worry too much about this, because sodium thiosulfate is regularly used in much heavier dosages via IV for cancer chemo patients, where the chemo — which usually contains dangerous lead and mercury to kill the cancer — is buffered out of the body with the sodium thiosulfate after the chemotherapy. The point is that we are only using drops of sodium thiosulfate here, but in chemo they use much larger amounts. I usually use 6-10 drops in my drinking water several times a month — because getting rid of heavy metals and chlorine poisons from our food and water is a continual ongoing battle which will never end. I also take iodine not only for health, but also to flush out dangerous halides — like bromine and fluorine — from my body. Iodine also helps to rid your body of cadmium, mercury and lead as well which makes iodine a very worthwhile and essential supplement. Bill, Are you using a full glass of water for the 6-10 drops of sodium thiosulfate ? Since my solution is in 30% concentration how many drops should I add ? Taken several times per month ? would once a week be sufficient ? Then, I guess both the acv/bs or lemon/bs help with weight loss which is one benefit I don’t need. (Being already thin) I thought is was the vinegar that facilitates this but i guess both remedies do this. Maybe it’s a result of having the bicarbs put the body in more balance with markers? I’m going to buy some mag chloride flakes to make the oil (skin application), but can the oil be taken orally too. Do any of the alkalizing remedies or borax (1 liter), and Iodine remove the good flora in the GI too ? Hi Joe…Yes, use 6-10 drops of 10% Sodium Thiosulfate(ST) in a full glass of water. If you have a 30% ST solution, then it will be 3 times as strong as the 10% ST solution. So just divide the original dose by three — and take 2 – 3 drops of the 30% solution in a full glass of water. Also, as Ted has said, the first time you take the Sodium Thiosulfate, you may well get diarrhea. But this is just the ST purging the heavy metals etc. from your bowels and is normal. This should only happen once, the first time you take the ST.
Also, ST is not something that I take every day. If you have heavy metal poisoning, then I would take this twice a week. I would also eat cilantro leaves(half a cup) three times a week in salads as well as drink green tea every day. The ST, along with these simple dietary protocols will all help to rid you of heavy metals from your body. I take ST about once a week now, I also eat plenty of Cilantro and drink green tea regularly. The mag chloride can be taken orally as well. If you’re using mag oil, then take 10 drops of mag oil in a full glass of water every day. If you get loose stools or diarrhea, then just cut back the dose. However, the best way to take mag oil, in my opinion, is transdermally — rubbed onto and absorbed through the skin, because more magnesium is absorbed quicker and there will be no stool or bowel problems because you are absorbing the magnesium directly into the blood. If you want to confirm heavy metals in your body, the best and cheapest way is to get a hair mineral analysis done. This will also tell you the minerals that you are defficient or have in excess in your body. A hair analysis will also identify any excess halides — bromine, fluorine and chlorine — in you body and is quite useful in this respect. Having taken borax for a while now(nearly 18 months), I have never had intestinal problems caused by this supplement. I take borax several times a month — I take borax in water for four days and then take at least 3 days off a week. Borax is the ultimate fungal killer, balances the hormones and works well with magnesium to regulate calcium in your bone and body tissues. Similarly, with iodine, I have never had a problem. In fact, it is quite well known that your salivary glands, stomach, prostate and the mucus glands in you nose, throat, lungs and intestines all contain and secrete iodine with mucus for protection against the bad viruses and bacteria in you body and this greatly aids your immune system in doing its job, so you can regard iodine as very body-friendly. where do you get sodium thiosulfate in Australia? Tried a few pool shops, looked on the net, sodium thiosulfate in Australia not easy to get. Will it really help get all this metal out of me? Will that finally help with the fibromyalgia pain. Does calcified arteries cause pain? Hi Debra…try buying the thiosulfate from an aquatic shop that sells fish, fishtanks and supporting goods. I bought my thiosulfate from an aquatic shop. Sodium thiosulphate is even used in modern medicine today. For example, in chemo for cancer, sodium thiosulfate is regularly used as an IV buffer to flush out all the dangerous heavy metals that are used after cancer chemotherapy — and used in much larger amounts than the dosages advised on this site. Drinking green tea three times a day would also help to flush out heavy metals or just eat cilantro (chinese parsely, coreander leaf) in salads 3 times a week would also work. These would all be good remedies to start with against your fibromyalgia problems. Might also be a good idea to flush out all the bad halides from your body as well — including the likes of fluorine, bromine and chlorine. Taking iodine(Lugol’s) internally or foot-painting with iodine using Lugol’s or simple tincture of iodine(I do this) is the other way of taking iodine by transdermal absorbtion through skin. Iodine also chelates mercury and lead out of your body and will also act to strengthen and support your immune system. Hi Debra from Brisbane, I have found a water ager at my friends house and all the name title it has is ‘water ager cn, and it is the only one that contains sodium thiosulphate. It also smells like sulphur. (rotton eggs). It is a basically blue label with fishes on it. I have contacted other companies that do not list their ingredients and asked them for the contents list and very few have sodium thiosulphate in them or maybe as low as 7 per cent, this one is primarily sodium thiosulphate. My friend probably purchased it in a pet shop on the southside of Brisbane but it is made in Granville NSW. Hi Debra, you can purchase sodium thiosulfate from Clark Rubber in Australia. It is called 'Chlorine Remover' and is available in 500gm containers. It is the crystal form. Hope this helps. Where does someone buy sodium thiosulfate? I went to all pet stores in my area and they don’t know what I am talking about. Is there any other name that it is known. Patricia, you will not get it from pet stores because they will not sell any other useless dechlorinator. You will get it from pharmacies. Also search on the internet and find how to make a solution to last you for years. Hi Haris, thanks for responding. I just recently noticed. I failed miserably in chemistry and it would be impossible for me to mix anything. How do you make you ST? I would be more content if I had a name to go with. I know Limassol is quite advanced in many ways and you can find most items. The only result I got was from a picture development site. I guess I will try the other stuff that Ted recommends like ACV and baking soda. I heard this afternoon on a health show that eczema and psoriasis is a complete shut down of the immune system, where circulation is affected and being deficient in fish oils and B complex. I believe that Ted has the best explanation. A fungal infection with a possibility of mite infestation and an acid predisposition. Sodium thiosulfate is a common dechlorinator used to remove chlorine from drinking water. It is also a well known antidote for cyanide poisoning where the sodium thiosulfate reacts with cyanide to form sodium thiocyanate. Some people who take too much apricot pits (cancer treatment) have a weak form of cyanide poisoning and found it helpful to add the sodium thiosulfate drops to reduced its side effect when they used the apricot pits, which is high in vitamin B17 or sometimes take apple seeds also somewhat high B17 to treat themselves of cancer or other immunity problems. They have reported to me that the side effects were reduced from taking too much apricot pits, and caused them to be to nauseated, but when sodium thiosulfate drops are taken, no nausea effects from too much apricot pits is seen. Apparently the extra cyanide, if it were to exist in excess, reacted with sodium thiosulfate to form sodium thiocyanate, where the body can get rid of them quickly, but I also suspect that the sodium thiocyanate may have some antiviral, anti-cancer properties, perhaps only a tiny amount from eating apricot pits and the thiosulfate reduced effect, but its reacted components may have the same properties nonetheless. I would therefore imagine that the thiocyanate is less toxic than the apricot pits but also reduces the side effects by allowing the body to rid of them easier. For me I used sodium thiosulfate to get rid of certain heavy metals, and accumulation of oxidative chemicals in the liver, as the sodium thiosulfate is a good reducing agent (reduces free radicals), but it is also a laxative in some respects, at least only initially in detoxification. Most people are not aware that sodium thiosulfate is a common dechlorinator used in fish tanks, drinking water and swimming pool water, and sometimes a low amount of can be found in natural hot springs water, but they do have trace sodium sulfide too, which is why it can used to treat skin problems and some to bathe in it to relieved them of skin problems, rheumatism, although indirectly. In other cases I used s.t. to help with sleep, as the reducing agent, especially the thiosulfate form of reducing agents helps with the sleep. A thiosulfate form can form a weak sulfide compound which is also a component that works synergistically with the body’s available nitrites to help to small extent anyway in controlling blood pressure or extend its effect for some people who take nitroglycerine tablets to treat both heart problems and high blood pressure. The effect is seen to last longer. In my personal observation a bicarbonate formula, in alkaline form mixed with a very tiny amount of sodium nitrites works the same way based on my experiment as both the nitrogylcerine and the sodium nitrite degrades to nitric oxide in presence of organic acids. Interestingly, if the body were already suffering the acidosis conditions from lack of bicarbonates, the nitric oxide, which is the major component in controlling the body’s blood pressure, does not degrade, and is more effective in killing of microbes, where its waste product, and the microbe itself are rich in organic acid. The sodium nitrite, produced by the body’s own glial cells located in the brain, would degrade to nitric oxide, burning the acid forming bacteria, viruses and other microbes, much like burning them alive. The sodium thiosulfate is also used as a photographic fixer, known as “Hypo” to prevent the chemicals of photgraphs from further getting dark and fix the pictures, much like a preservative, from preventing the pictures to be developed from further chemical oxidation. I have also used it in the past to help sleep as well as to help concentration in event of ADHD, children’s hyperactivity, and temper tantrums, and have worked remarkably well especially when a child of hyperactivity, is used to treat glutamine (amino acid) to help detoxify ammonia, and helped with brain development, is used in combination with sodium thiosulfate to reduced the resultant temporary hyperactivity that resulted from glutamine use. When those are used in combination, I have noted to cause a child to improve in leaps and bounds, which can be used for ADHD, hyperactivity, autism, and even emotional disturbances. For me, I also used s.t. as an anti-depressant and anxiety problems as well. At least for me anyway, the sodium thiosulfate has wide use, because of its unique properties as a reductant agent, it reduces free radicals, and reduces the liver accumulating actions of oxidative chemicals, where it is most dramatic as a treatment for cyanide poisoning. Still its everyday use is seen in fish aquariums and a dechlorinator for both drinking water and in use of swimming pools. In my opinion, people who used public bath cause their body to accumulate excess chlorine, the people who sells chlorine knows how much a human body uptake chlorine, which is quite a bit, but also does damages to the body. As a result, some people, like me for example, might after exposure to too much chlorinated water, will use the sodium thiosulfate solution to rinse by body of excess chlorine and perhaps some drops of sodium thiosulfate taken internally. Chickens and livestocks cannot use chlorinated water to chickens and pigs, as chlorinated water causes stunting of growth in pigs and chickens. At least in the case of chickens drinking water chlorinated in the farm, the biopsy of chicken were shown to have heart disease, and perhaps this line of chlorinated water used can be extended to human use as well. Of course human water, with chlorine and fluorine uses, is quite toxic to animals, and it is part of the many reasons why humans get sick. I imagine that the sodium thiosulfate to have much more wider use in the distant future and I have only begin to touch only just a small part of this, and not just its ability to remove heavy metals, chlorine, toxic compounds, excess cyanide, its anti-anxiety, anti-depressant effect, promotes sleep, is a laxative, used as a skin problems such as eczmea, and many other applications, I simply can’t remember. There was one case of a child who reportedly got fat from swimming in a chlorinated water too long (for about a month) as the oxidative effect of chlorine tend to do that, and well at least help reduce those effect and at the very least, reduce being bloated, as the sodium thiosulfate would react with the excess blood chlorine to form a simple trace amounts of saline solution in very minute amounts instead of a more toxic chlorine. The sodium thiosulfate is also used as a common remedy to reduce the side effects which causes deafness in some people from chemotherapy. But in my opinion, the free radicals also generated during x ray therapies, such as CAT scans can reduced such side effects just the same. I had a friend of mine who got a terrible headaches after getting her teeth x-rayed and took both vitamin C and sodium thiosulfate. Those two things stopped the headaches (and hopefully the radiation damages to her brain) the same day. It’s probably the antioxidant effects from both the vitamin C and the sodium thiosulfate. All this information I am telling is really old information (about 30+ years ago) as I found this out while doing experiments in U.S. high school. Nevertheless, with the trend in dumbing down of U.S. schools, I doubt any high school student today who studied chemistry would be aware of this as they are just too busy cramming for exams instead of doing experiments and make small discoveries for themselves. It was about the same time I think that Bill Gates was also playing computer programming at his own high school, which might be a monopoly program simulation, before becoming the world’s largest software house. Agree on the very underrated danger of chlorinated water, whether used for showers, cooking, or drinking. Hot showers are especially damaging due to the large amounts of chlorinated steam absorbed directly via the lungs. The bottle of tap water conditioner that I bought is 30% sodium thiosulfate and 9% EDTA tetrasodium salt. Would it be safe to put say 1 drop of this in a glass of water? Hi Baldev… I have been using Sodium Thiosulphate for a number of years now. I use it to remove heavy metals and as an anti-oxidant to help me sleep and it works pretty well. I believe its fairly hard avoiding processed foods and water nowadays, so this is one of the reasons I take it regularly. I take about 8 drops a day in water — I have the 10% Sodium Thiosulphate solution sold for fish tanks. But Ted describes that he takes the flakes — he takes one flake of ST — about the size of a grain of rice — in water. I also eat cilantro or coriander leaf in salads and drink green tea regularly which also helps to remove heavy metals. Sodium Thiosulphate is also used in much larger amounts as an IV buffer or flush after a cancer patient has had chemotherapy. Sodium Thiosulphate also removes arsenic as well as cyanide from the body. Very useful stuff. Supplementing Lugol’s Iodine(Aqueous Iodine) has similar action, but acts to remove Fluorine and Bromine from the body. It also removes mercury, lead, cadmium and aluminium too. To make the 10% ST solution, just add 10 grms ST to 90 grams(ratio 1:9) of water and you will have the 10% solution so you can use drops if you want. From where did you get Sodium Thiosulphate in Mumbai? Hi Rasha, Vikash Pharma does the re packing of this product at 7-A, Aghadi Ind. Estate, Ram mandir Rd. Goregaon (E) Mumbai-400063. However I got it in the powder form from some shop at Princess street, some time ago. That is the place where lot of shops are there who sell all sorts of chemicals, one has to really search. If you need any further information you can call me 09322887066. I live in Mumbai. I got sodium thiosulfate (in the crystal form) from a photo studio in Chikkadpalli . I am using it for the brown pigmentation on my face. Now that I have learnt of its many uses I will add a 10% solution drops to my drinking water and see its benefits especially with regard to sleep. Do you know where can I get in Pune? Hi Mohini of Hyderabad: I need your help in my getting the Sodium Thiosulfate flakes from the shop at Hyderabad . Kindly help me by replying to my email id usatya31 (at) yahoo.com: and provide the email or postal address of the shop so that I can buy small quantity from him for my health use. Well.. I went to petsmart looking for it.. The products weren't even labeled with the ingredients. I looked up one from the product site and the pdf it had about it made it seem horrible I wrote a letter to petsmart about it. You can get vapor damage and this that and the other thing from it. I'm not sure if i'm even going to try this now any more info? I see the sodium thiosulfate online with the name Pentahydrate next to it. Is this the same thing? If someone has a name brand that is at the pet store could you please email it to me? 1) Instructions on how to mix a dry Sodium Thiosulfate, so that I can consume it? 2) In lieu of the above, could you provide me the name of an appropriate brand of liquid Sodium Thiosulfate that they sell in fish stores here in the US. Most don't have ingredients listed. I went to an aquatic shop yesterday and was sold Prime. After further research, it appears this product contains more than Sodium Thiosulfate and since those ingredients appear to be proprietary, I don't want to risk ingesting this stuff. Thanks. The pentahydrate part next to it just means it has 5 water molecules associated it. So yes it’s the same thing but if you heat it you could actually vaporize the water and get an even purer concentration of the STS. But it’s not really necessary.